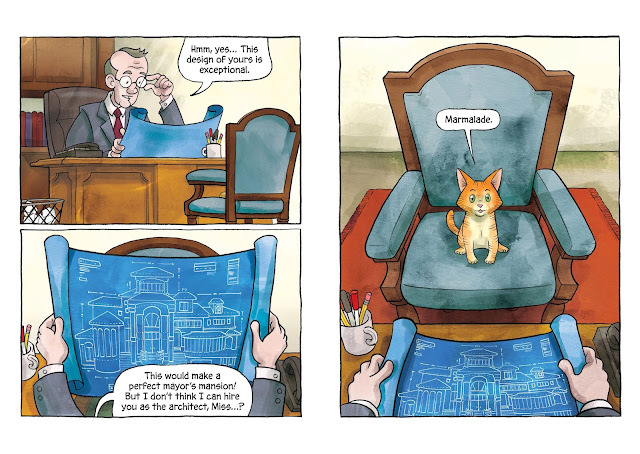 A trained architect, Marmalade knows she has the best plans for the new mansion being built for the mayor of Mewburg, but no one will take her seriously. She is TOO CUTE. Frustrated, she meets other cats with the same challenge. Sampson is a electrical engineer, but he can only get work washing (licking clean) dishes in a diner. Bubble is obsessed with plumbing, but has been stuck in a pet store (hilariously rerouting the habitrails) since, "the incident." And an elegant siamese cat is licensed and bonded to work masonry and lumber, but the name Professor von Wigglebottom seems to get in his way. When Marmalade and Sampson decide to start a construction firm of their own, they head to Webbucino's Internet Cafe to find other likeminded kittens. Despite the internet being "full of cats," it proves to be of no help at all. 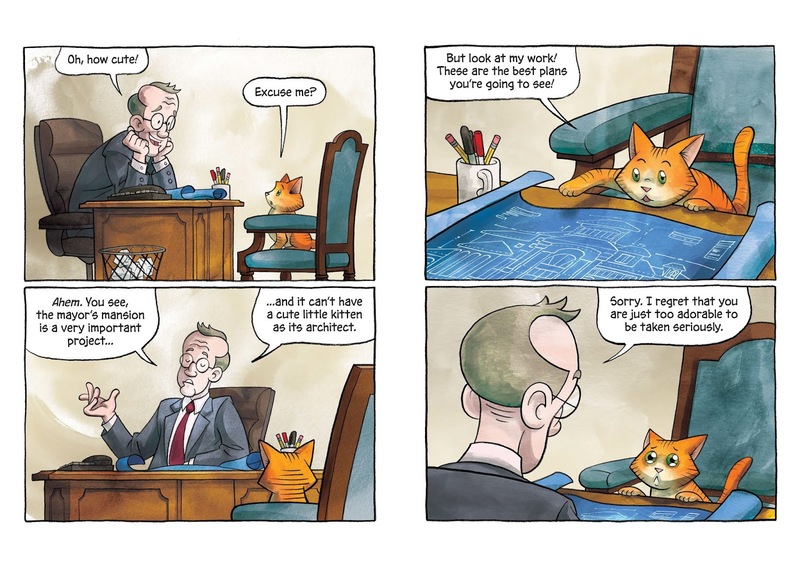 One of Green's masterful layers to this marvelous first in a series is his subtle humor that breaks the fourth wall and reminds you that these are talented kittens trying to make it in the real world. 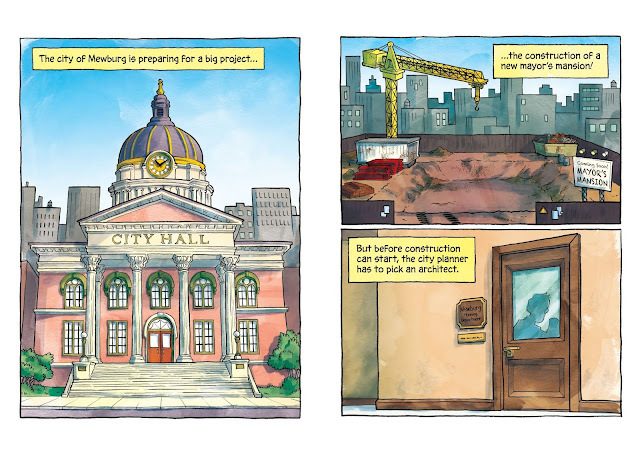 Marmalde, Sampson and Bubbles find work at a construction site that just happens to be building the mayor's mansion, but when Marmalade notices flaws in the plans, the City Planner won't take her seriously. 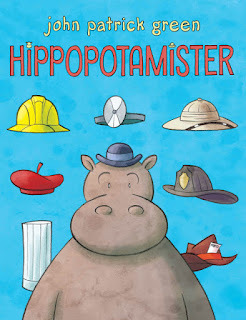 She is just too adorable, especially in her tiny, yellow hardhat. When the kittens decide to build their own mansion on an abandoned construction site, things turn around for them, despite the presence of laser pointers that MUST be chased, as well as a irresistible ball of yarn. 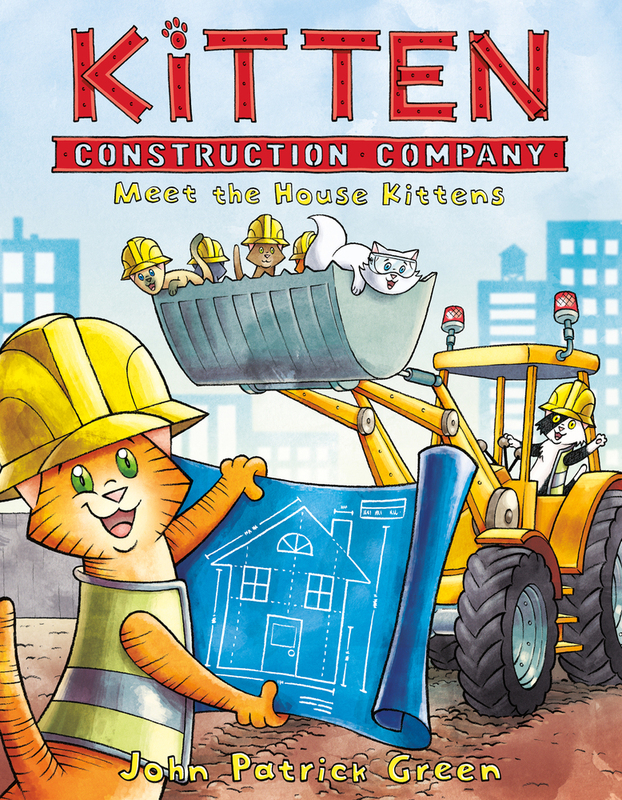 The kittens save the day with their mansion after the one built by the City Planner collapses in front of the mayor, but they still are overlooked and do not get credit. Seeing this, the City Planner offers them a job on the city's NEXT big project and the House Kittens Catstruction Company is born! Don't miss Green's other book!